LEAD San Diego will honor six leaders in tourism, baseball, homelessness, community investment and genome sequencing with its 2018 visionary awards. Roscoe is being recognized for her long-time efforts as a community and civic volunteer. She is a past chair or president of the San Diego Convention and Visitor’s Bureau, San Diego Rotary Club 33, San Diego International Sports Council and Fleet Week San Diego, and has severed on the boards of many other organizations. Martinez, manager of community affairs and grassroots for Southwest Airlines, has built a portfolio of highly respected strategic partnerships with civic, business, and philanthropic organizations, as well as major universities in San Diego. Named for the late banking executive and community leader, this award honors Seidler and Shea for their work to solve San Diego’s homelessness problem. Seidler is the general partner of the holding company that owns the San Diego Padres. Shea is a partner in Paradigm Investment Group, which runs 140 fast-food restaurants across the United States. Flatley will be honored for his extensive contributions to the genomics industry, building Illumina from a startup to an international leader. Flatley led the company as CEO from 1999 until 2016, and now serves as executive chairman. Uribe, vice president of Club de Béisbol Toros de Tijuana, serves as a link between the team and various charities and companies in the binational region. Her community involvement has included a term on the executive council of Coparmex Tijuana. 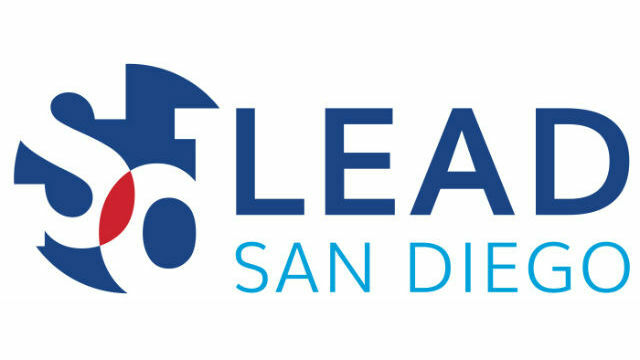 LEAD is the leadership development arm of the San Diego Regional Chamber of Commerce. Its role is to create a network of leaders for the San Diego and binational community.